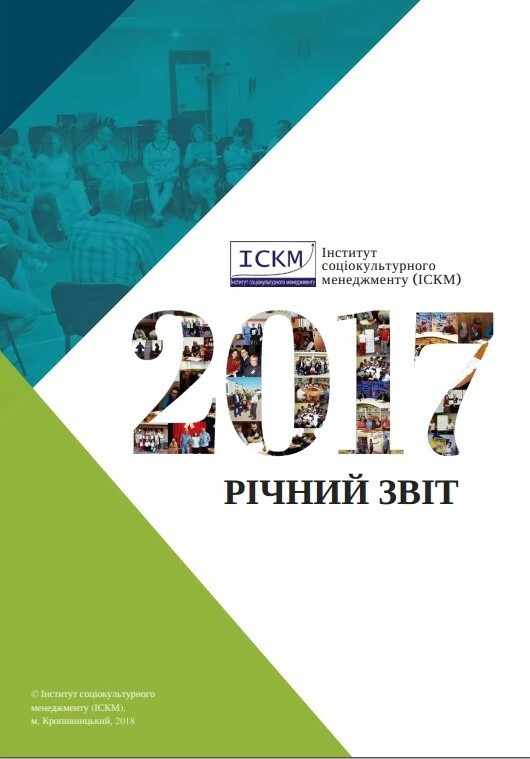 The analysis of work of the Institute of Socio-Cultural Management (ISCM) in 2018 is presented in the report, namely: the main events, quantitative indices of activity, financial and organizational. 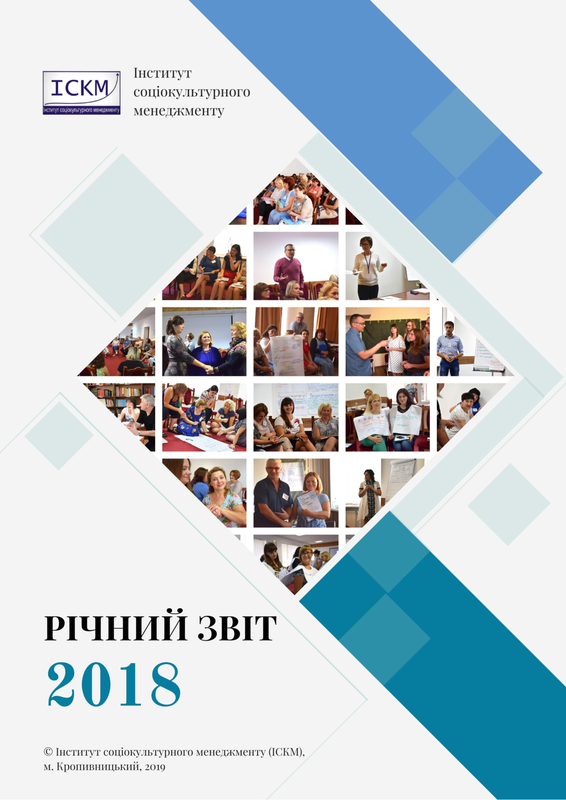 У даному звіті представлено аналіз роботи Інституту соціокультурного менеджменту (ІСКМ) за 2018 рік, а саме: головні події, кількісні показники діяльності, фінансова та організаційна інформація, інституційний розвиток організації, результати реалізації. 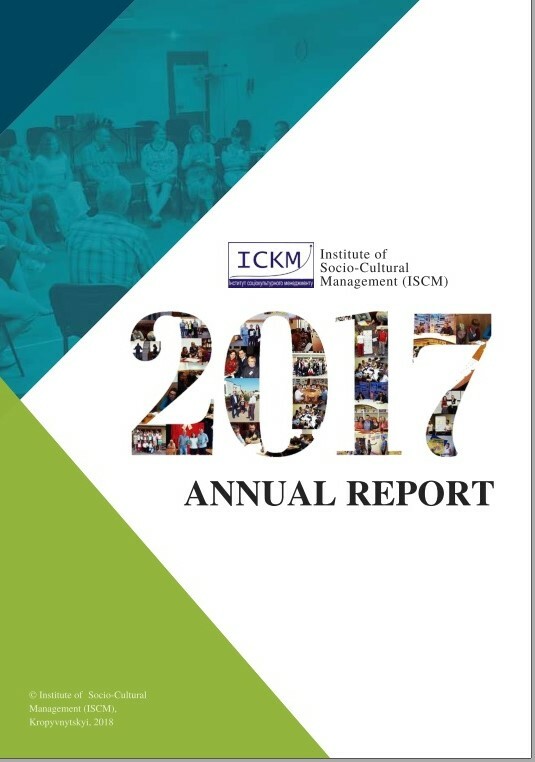 This report present an analysis of work of the Institute of Socio-Cultural Management (ISCM) in 2017: main events, quantitative indices, financial report, publication of ISCM, institutional development, partners. 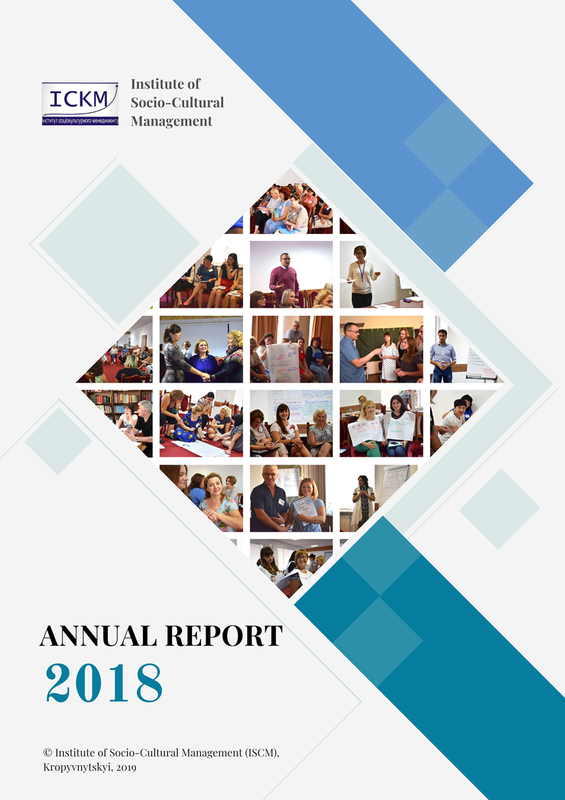 Download: Annual. 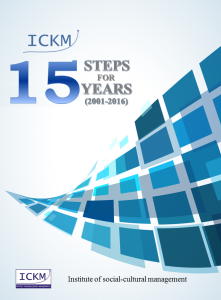 To your attention the Institute of Socio-Cultural Management reports on the activities during 2001-2016 – Report of ISCM “15 steps for 15 years” (2001-2016). You are waited 15 steps.